About Us | Leaky Basement In Vaughan Region? Canada Waterproofers Can Help! Your home is your castle. So when it comes to protecting it against the hazards of water damage, make sure you go with the No.  1 waterproofing company in the Greater Toronto Area. Canada Waterproofers Vaughan Region has been in the business of providing high quality waterproofing and plumbing service to the region for the past 25 years. Our team of licensed professionals specializes in getting the job done right the first time out. You have a lot invested in your home – both financially and emotionally. We fully appreciate that, in large part because we are homeowners as well. Your home is at risk from flooding if it’s not properly waterproofed. We are seeing more rainfall, with higher intensity, as the climate warms. The city’s sewer infrastructure is becoming old and dated. Budgets are stretched. You need to take control of the situation. A flood, even a water leak, in the basement of your home will cost you thousands of dollars in damages, plus the emotional cost of seeing personal, prized possessions damaged. There are health impacts, with side effects like mould and mildew. Canada Waterproofers Vaughan provides exterior and interior waterproofing service, drain maintenance and repair, plumbing services, concrete floor installation and basement underpinning services (providing additional ceiling height – adding value your home). We will do it for a reasonable price. We only use the latest technology and best materials. And we back up our work with a fully transferrable, 25-year warranty. Dishonesty and carelessness are unfortunate, common storylines in this industry, so go with a company with a long history and wealth of experience, plus a willingness to back up our work with a 25-year warranty. From complete home waterproofing to minor repairs – our team of fully licensed and insured plumbers and waterproofing contractors do the job right. Call us for a free, no-obligation assessment. Canada Waterproofers Vaughan Region is up to the task. Your basement will stay dry and your plumbing will perform as it should for years to come. Call us if you still have questions after visiting our website. Thanks for visiting the website for Canada Waterproofers Vaughan. We look forward to speaking with you soon.